While browsing through the mini-supplies, I came across this startling phenomenon – Walden Farms (which should be renamed to Frankenstein Monster Labs). These guys have invented calorie free foods! No sugar or no fat I understand, but no calories, that’s just plain water!? Ok, maybe they can pull off some magic with the dressings by using only vinegars, water and spices, but chocolate syrup and peanut butter? I am half tempted to order those just to see if there are hypnotic fumes coming out of the jar to make me think I am eating peanut butter instead of air. On the other hand after reading the ingredients, I am not about to poison my body with chemicals I can’t even pronounce. The fun did not stop there. Gnu bars were my next discovery. Now this product is more up my alley, all natural, low calorie, high fiber from oats and whole wheat. I had to get a sampler of every flavor. Next stop – Artic Zero. This stuff is expensive, but all the positive reviews had me intrigued, so I decided to splurge. Unfortunately, the individual pints are only offered in stores in California, and chumps that are stuck in rain have to buy 10-packs (as you obviously crave ice cream on those grey cold days). Hopefully, I have enough space in my freezer to store 10 pints. This concluded my search for weight loss wonders for now. I can’t wait to receive my samples galore in the next 3-5 business days and tell you all about the new products I’m trying. They aren’t quite 1 pint though. I think the cals range from like 130-230, depending on the flavor. Apple Pie, Cookies N Cream, Rocky Road and Drumstick are all really good. Actually I live back east and get my Arctic Zero at Whole Foods. Their store locator on their site lists over 40 states. Just some FYI. Thanks for the tip Sam. 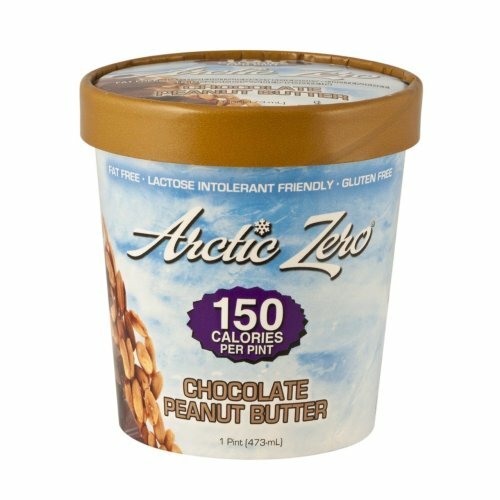 Unfortunately, the closest place that carries Artic Zero is 25 miles away from my house at Custom Smoothie downtown Seattle. I am going to drop off a request form at our local Whole Foods in hopes they will start carrying it as well. I just received the sampler yesterday, and my favorite is Vanilla Maple so far. How about you?